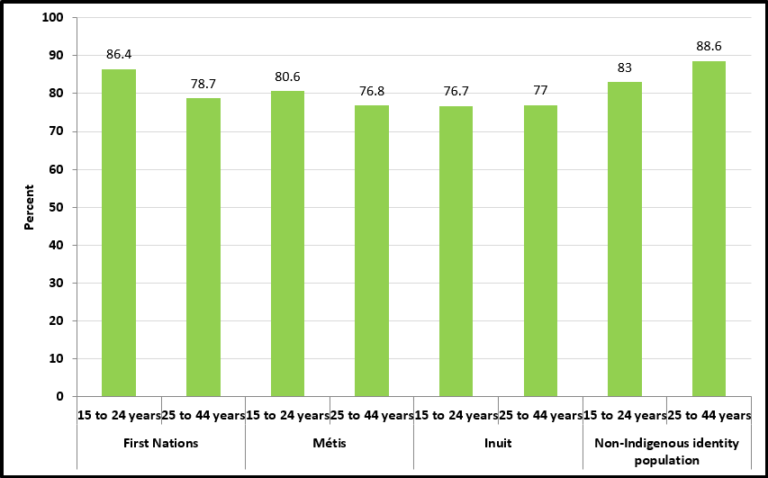 In 2007-2010, 86% of First Nations aged 15 to 24 years who had a baby in the previous 5 years initiated breastfeeding. That was the case for 81% of Métis women, 77% of Inuit women and 83% of non-Indigenous women in the same age group. 77% of First Nations women aged 25 to 44 years who had given birth in the previous 5 years initiated breastfeeding as did 77% of Métis and Inuit women and 89% of non-Indigenous women.